I think the point Aslan makes that resonates the most with me is that most religions aren't violent or peaceful. It's what the people who follow them bring to it that determines how that religion and their specific group is perceived. For example Buddhism is largely perceived as a peaceful religion yet Aslan points out that there are violent orders of Buddhist Monks present in the world. "Maybe the media should refer to specific Extremist terror groups as 'Religious Extremists' rather than 'Muslim Extremists' so as not to continuously link one entire religion to people who are a minority and non representative of the wider mainstream religion?" My comment won't really solve anything other than, if it actually was implemented, you might hear the word 'Muslim' a little less in the media. Maybe some people would see it as being a bit PC since many of these terror groups reported in the media of late do identify themselves as Muslim. Call them what they are instead of trying to hide it with or more politically correct word. Probably a more pro-active message is the #notinmyname campaign denouncing ISIS as non representative of all Muslims and Islamic groups. Video below. 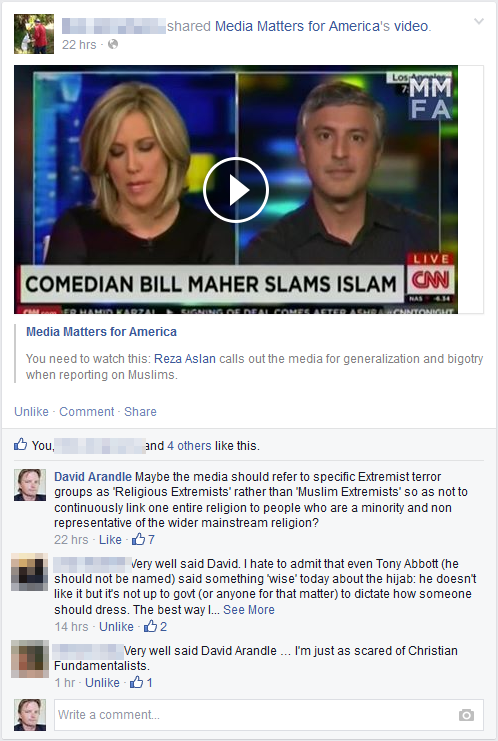 Very well said David Arandle … I'm just as scared of Christian Fundamentalists. This got me thinking about Christian Extremists and why people seem less concerned about them? Even treating them as a joke (Westboro Baptist Church anyone?). Though I didn't get very far on that line of thinking as I got caught up on the word 'scared'. I live in a largely safe society where it's unlikely my town will be violently invaded by religious fundamentalists any time soon. 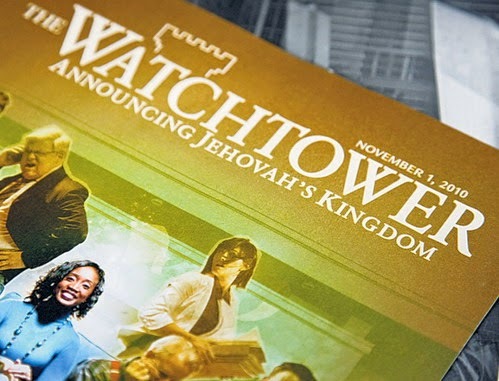 That said, I do hide in my house and pretend no one is home when those people who deliver the Watchtower magazine are canvasing my neighborhood. That's about as close to being scared of a religious group as I get in my daily life. I wish they'd stop delivering their magazines in person but air strikes on the local congregation might be going a bit far to get that message across. A great compromise would be putting the magazines in my letterbox instead of knocking on my door. I just don't want to talk about 'Why are we here and where are we going?' (or whatever it is they talk about now? It's been a while since I actually answered the door to them). My point is, even in my first world safe haven, the biggest problem I have with any religious group has nothing to do with Muslims or Islam. It's a Christian group that causes maybe a few seconds of inconvenience because I'd rather not answer the door than try to talk my way out of a conversation I have no interest in having in the first place. To sum this article up I guess what matters is understanding that religious terrorist groups are not main stream representative of any religion they claim to be operating in the name of. Rather than sitting around thinking that they are representative of the people who follow the same religion in your local community, educate yourself. Be concerned for the people who do actually face the very real threat of groups like ISIS. The people that actually live or work in the same part of the world as those religious extremist groups but don't follow or agree with what they stand for.